Hands up if you've already got your hands on the ebay Midi Dress? It's a beauty isn't it? I've definitely got my £8.99's worth out of it during the heatwave and I imagine it'll be a wardrobe staple throughout the summer too. If you haven't got a clue what I'm talking about, let me introduce you to the ebay Midi dress. It's a dress I've seen all over Twitter, Instagram and Youtube. 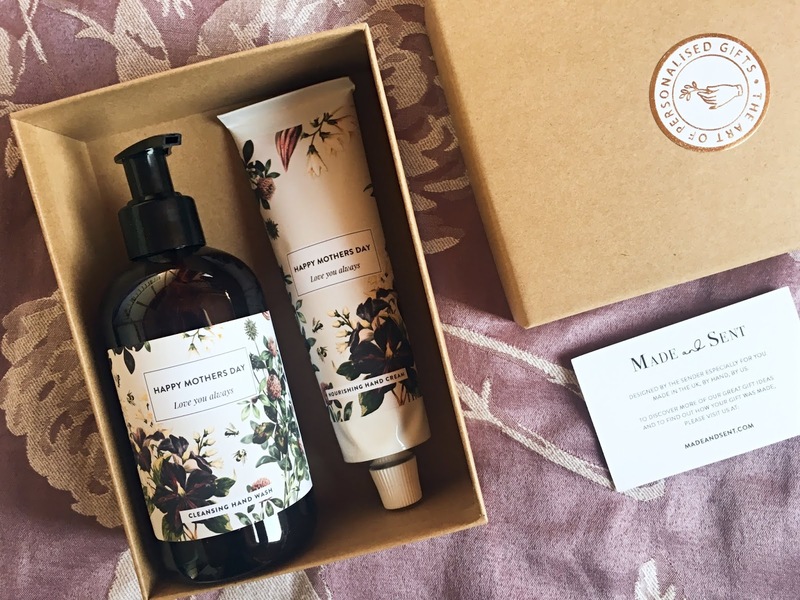 A real favourite with bloggers. It's a lovely summer dress, WITH POCKETS (yes that deserved all the caps) that comes in a variety of designs. 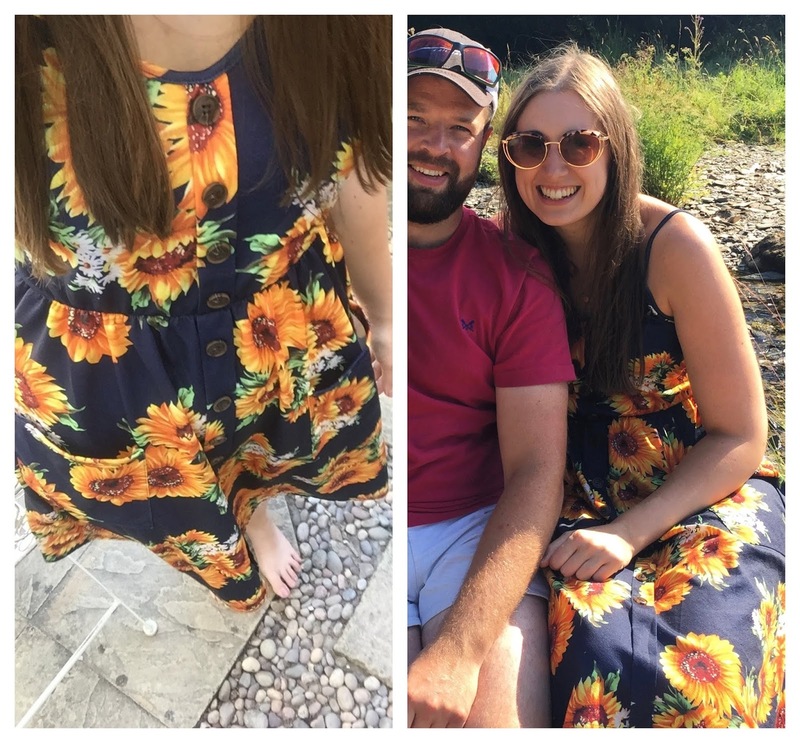 I chose the sunflower design as it screamed summer to me and I get so many compliments every time I wear it, hence why I thought I'd share it here on the blog! I've never been sure about wearing midi length dresses - I don't have the world's smallest or most toned calves and I feel like they cut me off in the worst possible place. HOWEVER, midi dresses are everywhere at the moment and the designs are too pretty to miss out on. 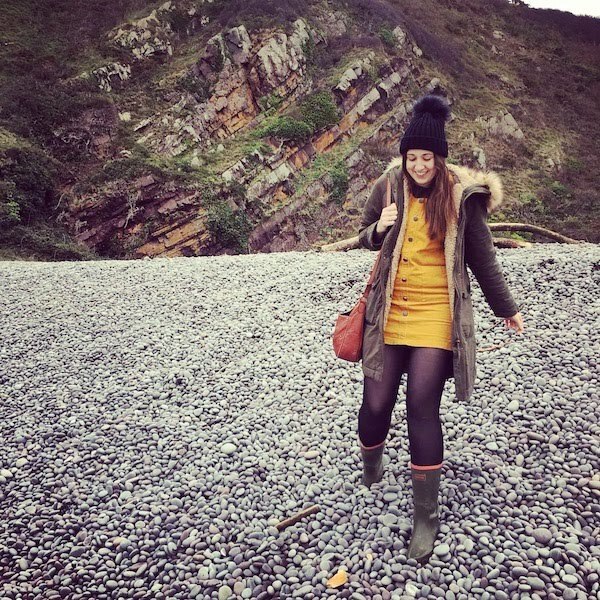 Plus I'm at a stage in my life where I'm not quite as self conscious as I used to be (I think motherhood and being in a stable, loving relationship have played a positive role in that,) so I'm forgetting any hang ups I have and rocking the midi dress anyway! Anyway back to the dress...at £8.99 you can't expect the world's most luxurious material. It's Polyester and feels a little on the cheap side though not at all uncomfortable, even on the hottest days! It also looks lovely, so I don't think the material really matters at the end of the day, especially considering the price tag. I think it's machine washable though to be on the safe side, I tend to hand wash mine and then hang it to dry. With some ebay dresses, I think you have to be a little wary of sizing as sometimes they come up small. Though with this particular dress, I risked buying my usual size (UK size 10) and it fits perfectly. I tend to wear my dress in the day time with sliders but you could definitely dress it up a little with heeled sandals for evening wear. There are so many beautiful patterns to choose from (as well as plain coloured styles) and it's oh-so-tempting to treat myself to another! 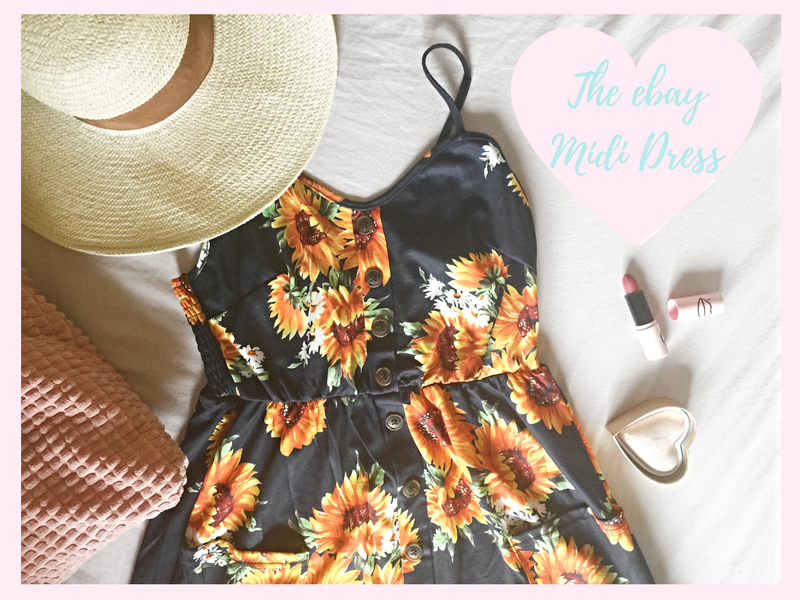 Have you bought the ebay midi dress yet?